Chamber choir of National Research Nuclear University Moscow Engineering Physics Institute (MEPhI) began its history in MEPhI in 2001. The collective annually participates in University cultural events, tours actively, performs at leading concert halls of Moscow and represents MEPhI in city and international festivals such as “Festos” (Moscow), “Chorus inside” (Moscow), “Paparats-kvetka” (Minsk), “Young voices” (Nizhny Novgorod), VII All-Russian academic choirs and vocal ensembles competition “Singing Russia” (Saint-Petersburg), VII International festival of student and academic choirs “Freckle” (“Vesnushka”, Yaroslavl), “Praha of Mozart” (Praha, Czech Republic), “Slovakia cantat – 2014” (Bratislava, Slovakia). The collective became the winner of “Mixed choirs” nomination and won the special prize for the best a cappella piece performance at II All-Russian choral competition-festival “Choral Kazan – 2016”. 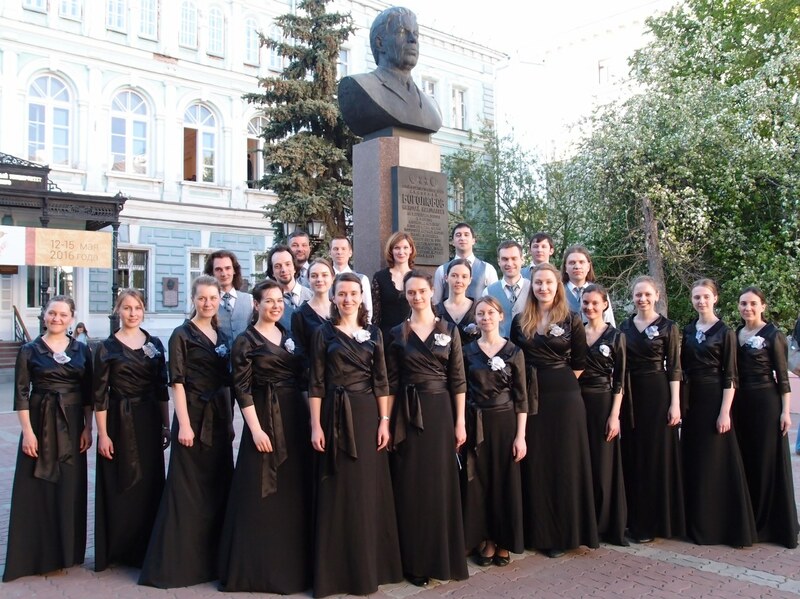 In February 2017, the choir became the winner of IVth Teratsuyants International Festival of Choral Music in the competition for the best performance of Nordic countries’ and Karelia’s composers’ piece (Petrozavodsk, Russia). “Carpe diem” (lat.) means “Catch a moment, enjoy the present day”! Let a little bit of creativity be in every moment of life! And then every day would not be lived in vain! Art director and conductor of youth Chamber choir “CARPE DIEM”. Elena graduated from Gnesiny State Musical College (class of V. Bogdanovskaya, Honored Worker of Culture) and Tchaikovsky Moscow Conservatory (class of Honored Arts worker of Russia, Professor B. Kulikov). Since the third-year of her college, she works with a variety of children’s choirs. Since 2003 to 2006 Elena was a choirmaster of the choir school for boys and young men “Debut”, since 2007 to 2008 she was the conductor of the junior choir of Choral and Instrumental department of Alyabyev Childrens’ Music School, and since September of 2009 until now she is the conductor of junior choirs of Instrumental department of Arensky Childrens’ Music School. 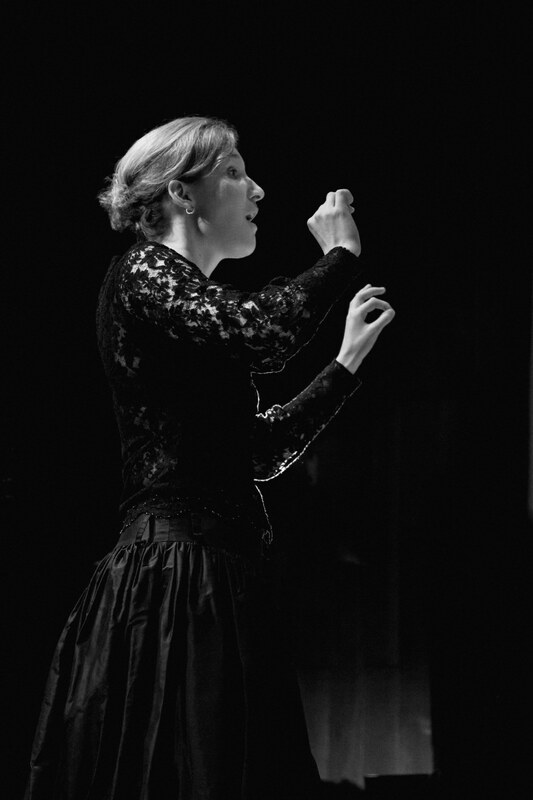 Among her personal achievements there are III degree laureate diploma (2013) and II degree diploma (2011) of Festival of young teachers and choirmasters of Moscow culture and art educational institutions; special conductor’s prize of International festival “Praha of Mozart” (2012, Praha); Prize of Government of Moscow for state culture institutions workers in “Best young specialist in the culture sphere” (2014), diploma of laureate of international festival “Chorus inside” in “Choir conductor” nomination.